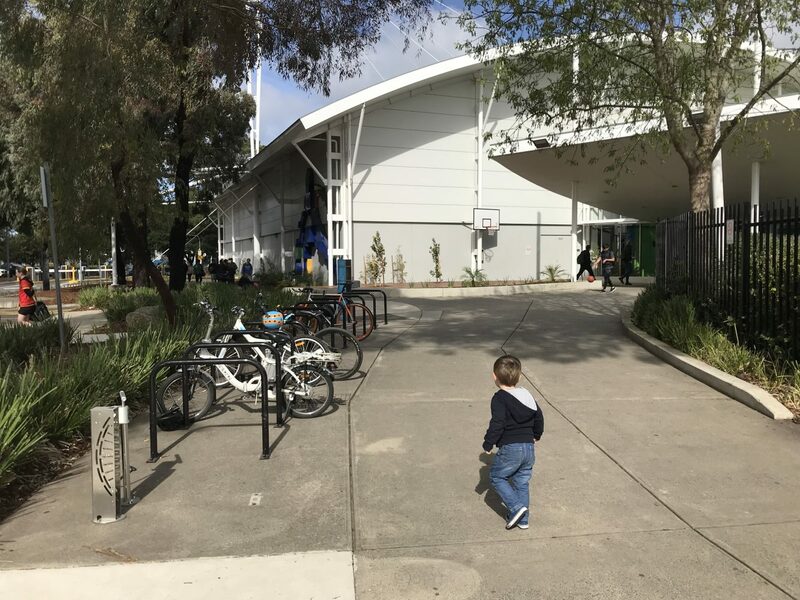 The Melbourne Sports and Aquatic Centre was built and open to the public in 1997. 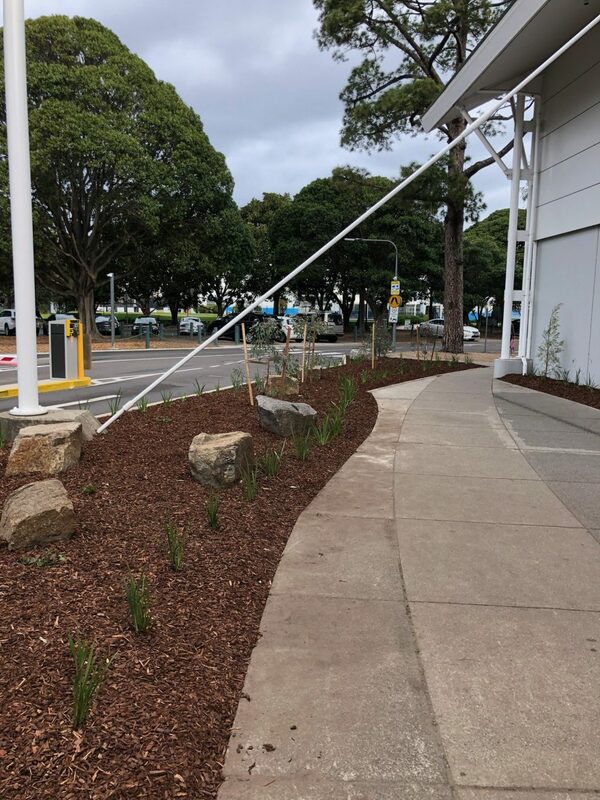 After 20 years, the original landscape of native trees, shrubs and grasses were in need of rejuvenation and additional facilities were required for the use of visitors to this multi-purpose venue. 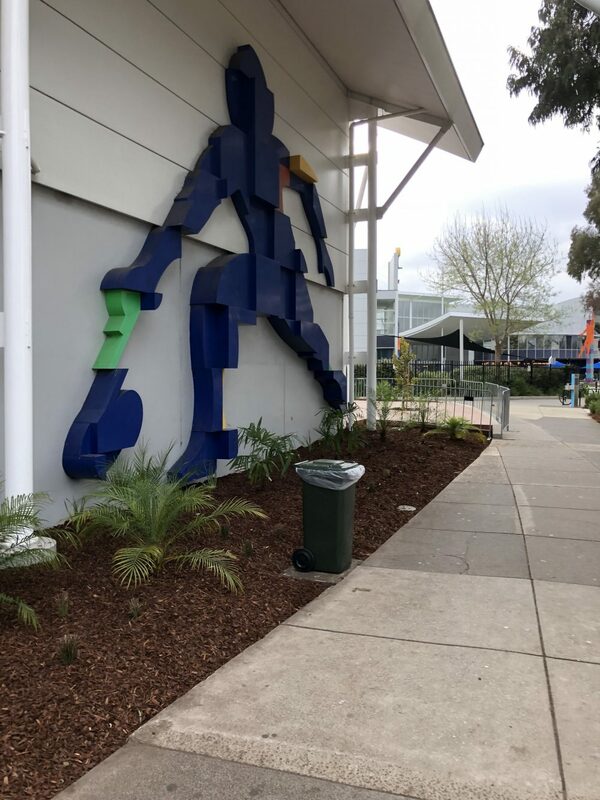 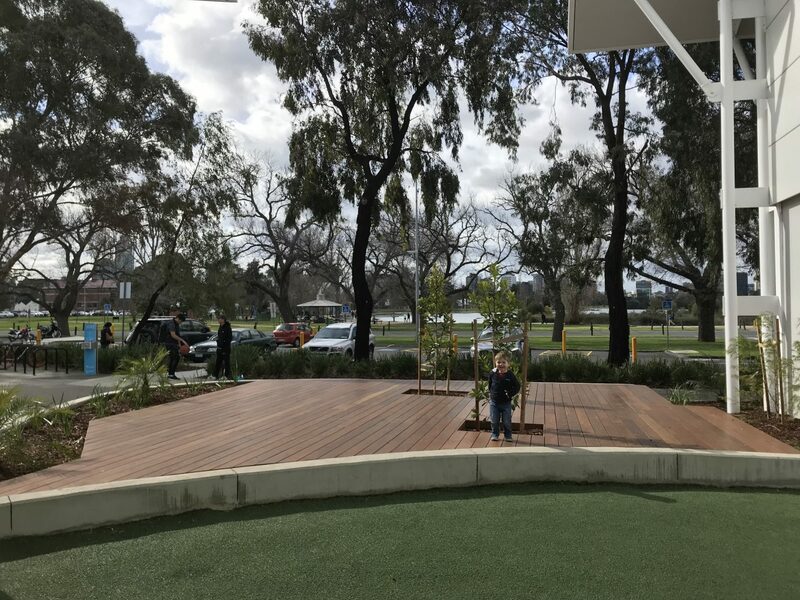 Davidson Design Studio was engaged by the State Sport Centres Trust to design a decking space for flexible use, new facilities for bicycle riders and improved garden spaces to the entry of the indoor sport stadium. 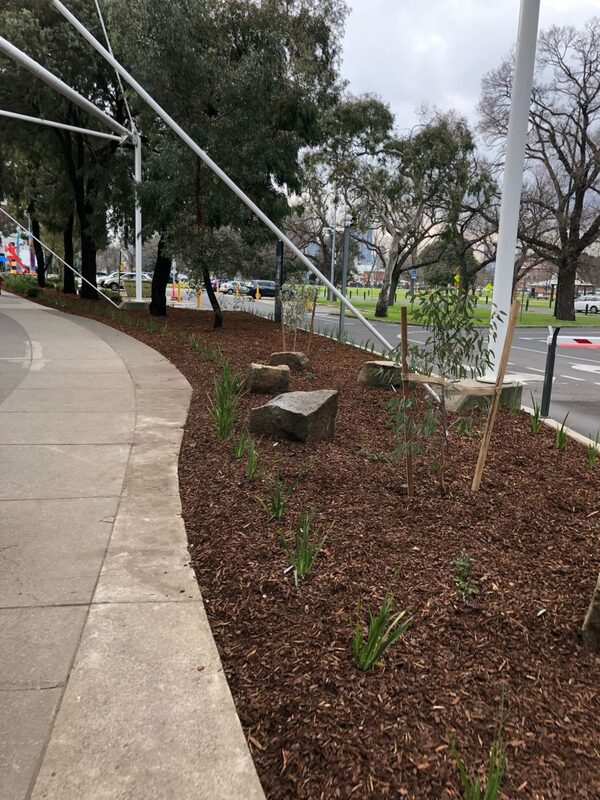 Small native trees create a backdrop to the new planting and complement the existing Iron Bark Eucalypts that line the road. 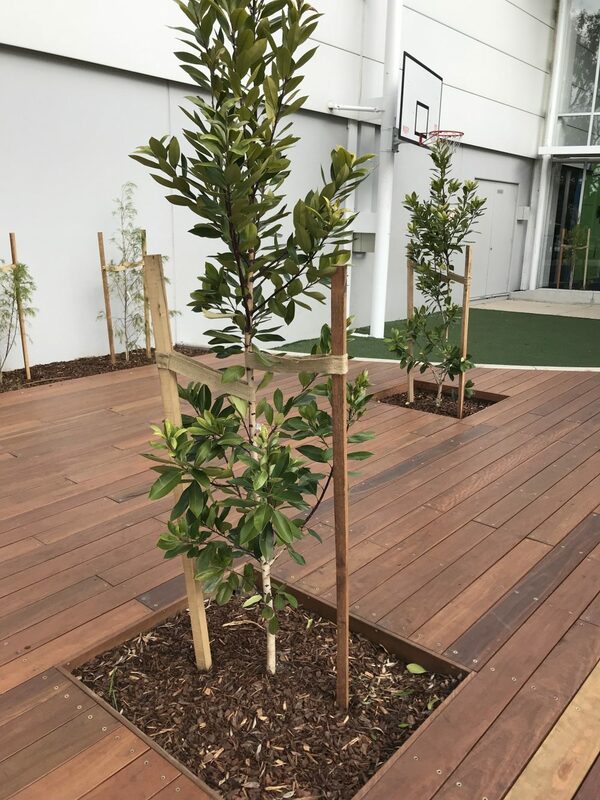 Two native Tristaniopsis are located within the decking space with the capability to grow and provide future canopy to this functional area.